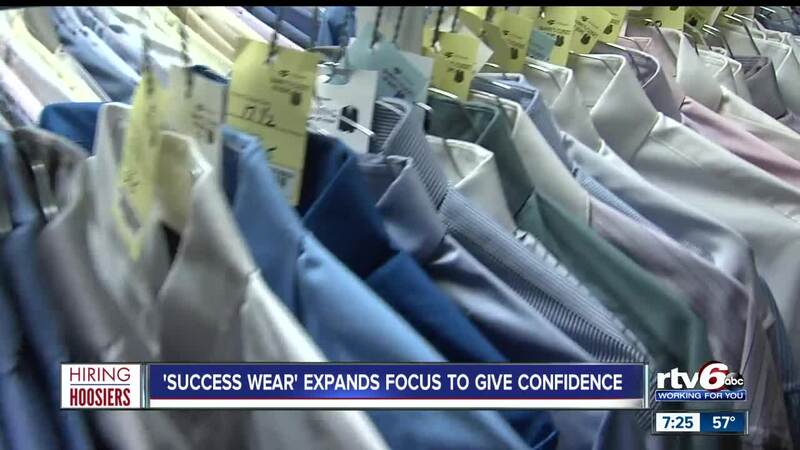 'Success Wear' expands focus to give confidence. INDIANAPOLIS — RTV6's Hiring Hoosiers is highlighting a program we've covered before, as it celebrates its new focus. Formerly known as "Danny's Closet of Hope" is now "Success Wear at St. Vincent Health." The program helps provide people with professional attire, so they can get the job they want. The program helps out people who have been referred there by partner groups. Organizers say the partnership gives people the best chance possible to land employment.